The two schools have never played a non-district contest. The two schools have never played a district contest. The two schools are 1-1 when the game is a playoff contest. The two schools have never played at a neutral location. The Lobos are 1-0 when the game is played at Longview. The Bruins are 1-0 when the played at Beaumont West Brook. The two schools have never played at AT&T Stadium. The two schools have never played on December 22nd. And so…we meet again. A grudge match for the Class 6A Division II State Championship. Longview and Beaumont West Brook had never met before the 2016 Bi-District contest. After Saturday, they will have met three consecutive years in the post season. In 2016, Longview, despite winning a co-share of the district championship, had to travel to Beaumont to take on the Bruins. The Lobos lead most of the way, grabbing a 24-14 lead midway through the 3rd quarter. 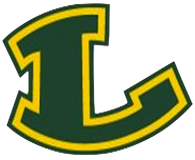 The two squads continued to trade scores before a Bruin touchdown, followed by a blocked PAT return by the Lobos gave Longview a 33-27 lead late into the 4th quarter. Longview was driving to score late in that 4th quarter before a fumble by D’Crayvan Polk on the 10 yard line gave the Bruins hope. West Brook drove the rest of the way, including completing a fourth and six inside the final two minutes of play, and scored the winning touchdown and extra point to knock off the Lobos, 34-33. The two schools would meet the following year, in 2017, at Lobo Stadium. The Lobos and Bruins would battle to a 7-6 Lobo lead at halftime before a 28-point 2nd quarter would explode the Lobos into a gigantic lead. The Bruins would tally late on a 4th quarter strike, but the game was done. The Lobos rolled 42-21. And so, the 2018 edition of this new rivalry will be held on an even higher stage. The Class 6A Division II State Title game. Longview improved to a program best 15-0 with a thrilling 45-42 win over an upstart Amarillo Tascosa team. The Lobos led 35-7 at one point before the Rebels turned the switch on in the second half. Longview grabbed a 45-28 lead with five minutes left, but penalties began to hurt the Lobos and the Rebels drew within 45-35. An onside kick followed by a hook and ladder play brought the Rebs to the final score of 45-42. Longview recovered the onside kick and Haynes King picked up the lone first down needed and it was done. Longview advanced to it’s 5th all-time state championship game, and first since 2009. The Lobos will be looking to end a streak that dates back to 1937. It’s a streak that has been mocked by East Texans and the rest of the state for ages. Longview is the program that can’t finish. 81 years the Lobos have gone without a state championship. And for the 4th time since that 1937 1A State Title, the Lobos will get their shot to end it. Beaumont West Brook improved to 13-2 with a 35-30 victory over favored Austin Westlake in their State Semi-Final. The Bruins have been on a roll in their last 7 games, since falling hard to Galena Park North Shore, who will be in the 6A Division I State Title game next Saturday. 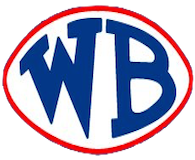 The Bruins return to the State Championship game for the first time since 1982, their first season of varsity football when West Brook won their only State Title. The winner of today’s game will become the Class 6A Division II State Champion. Last edited by LoboFan07; 12-16-2018, 08:50 AM. Both teams have a great offense. Westbrook defense surprised me against Westlake. Who defense plays the best determines this game. I think this game will be decided by less than a touchdown and will be decided in the fourth quarter. I'm rolling with my districtmates. Longview 42 Westbrook 34. It's on! The rubber Match for state! More inconsistent play calling than team play imo. Have to agree here. I don't understand what we're doing offensively these last two weeks, but especially last night. He said on the radio show he got way too conservative when we were running the ball so easily and was kicking himself for not calling some wrinkles they had been working on. He sounded dejected after the game even though we won. Longview is also really beat up after these two games...so physical. Yes, plays were not chance taker plays... but really hope that referee isn’t at the game Saturday. That crew was so bad, it was like they had never seen two physical teams play each other. I really just couldnt stand his lisp... or the fact is he was a nervous wreck announcing calls on the jumbotron😂. All times are GMT-6. This page was generated at 02:21 PM.